Consulting | Learning Technologies, Inc.
Reinforcement, cultural fit, consistency, and efficiency are the keys to effective organizational change. LTI offers a wide range of consulting services to help you reach your business objectives. Our aim is to complement and support your efforts to give you the greatest return on your investment. We are committed to working with you to develop solutions that truly fit your business and culture rather than trying to force a fit just because it’s something we sell. Bottom line – our success depends on your success, so we’re on the same team. Our consulting services range from Executive Coaching to help ensure top performance from your people, to Strategic Planning to help keep your business on the right track. We are your trusted business partner offering an objective perspective and helping to hold you accountable. Strategic planning sessions are totally customized and facilitative in nature. They may cover a wide range of topics but are always tailored for your specific needs. We work closely with you and your management team to make sure that the outcomes are in line with your business needs. Clarifying Overall Goals And Objectives: The group will discuss the need for a clear common purpose. They examine their vision and mission and set common objectives. This is ”The Big Picture.” They then work toward uncovering what is important versus what is urgent. Identifying Individual Goals And Roles: After clarifying the objectives, the group examines how to work them into the big picture. This includes setting individual goals, examining of what’s working well, what needs improving, and what pieces are missing. They explore what systems are already in place to support the group’s efforts. Reinforcing The Vision: Although the vision may have been in place for some time, it is critical that it’s up to date with actual plans and practices. Here we address the difference between a plan and reality, to reach consistency between the two. Moving Forward / Action Planning: Here’s where we get down to specifics and establish accountability. With a clear understanding of the team’s goals, and a better appreciation for the players involved, each individual can begin making specific commitments to the team. Our Executive Coaching sessions for managers are great tools either on their own or as a follow-up to training. Sessions may include specific topics, review of assessments, discussion of actual work related situations, exploration of alternatives, recommendations, specific assignments, and plans for future development. Initially, we lay out a plan with the executive, which is reviewed and amended as we work through the sessions. When appropriate, we solicit input from their manager and direct reports during the process. Our goal is to focus on the needs of the individual, helping them develop in their career. Executive coaching can dramatically improve one’s ability to work with a team, as well as with peers and superiors. We examine ways for the individual to improve their effectiveness in their specific environment. The exact design hinges on discussions with the individual. Examining the characteristics of an effective manager and exploring ways of improving communication and management skills. Gaining feedback on management style and exploring alternative approaches. Identifying effective management processes that will help the executive to be even more effective with their group and others. Exploring improved communication skills and techniques. Developing different ways of giving feedback and addressing conflict. Finding the difference between self-perception and the perceptions that others have of us. Focusing on new ways of coping with stress, both personally and in interactions with others. Increasing our awareness of how our personal style impacts our interactions with others and how we can manage the process. These sessions can be held either in person or over the telephone, and will be for a minimum of one hour each. Sessions should be held at least every two weeks. Informed trainers are essential, and our dynamic Train The Trainer Sessions will provide the necessary tools to help your internal trainers with their own training, facilitation, and coaching skills. Ideally, participants will already be experienced trainers. Train The Trainer Programs are designed to assist trainers in working with internal company participants. To develop a better understanding of the program content, trainers will first go through the program they will be learning. This is a crucial step to their delivery of LTI programs. Our staff will review the material and instruction points, with ideas on how to best deliver the program. 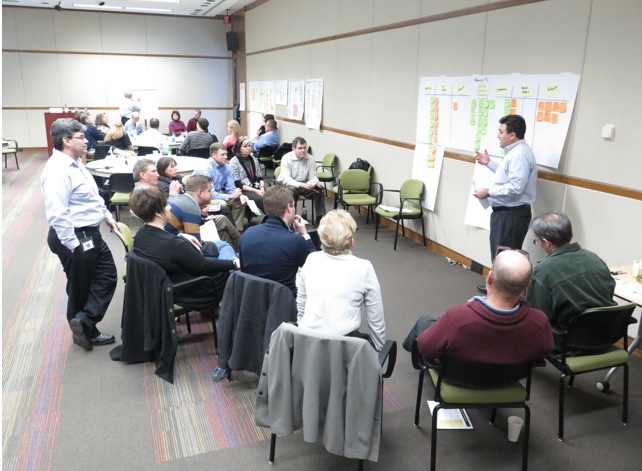 Trainers will have an opportunity to discuss and share ideas regarding program design and flow with each other and LTI consultants. When you find yourself in a situation where you need some support for a meeting, training, or retreat, LTI can be your solution. Working together on projects can often produce phenomenal outcomes. We bring experience and training expertise while you provide the direct link back to the organization. The results are more robust and definitely aligned with your needs. Co-facilitation is not as simple as just adding another person to the agenda. We spend considerable time and energy prior to each engagement discussing content, roles, timing, transitions, and most importantly, expected outcomes. Our goal is always a seamless delivery that supports your goals and expectations. Supporting presentations that address sensitive issues where having an experienced and objective viewpoint can be beneficial. Making training more engaging and relevant beyond the immediate organizational needs. Adding capacity to train or deliver existing content. Help conducting meetings, conferences, or other engagements. Support delivering critical, and potentially sensitive information vertically within the organization. Help delivering external engagements where manpower, topical expertise, or presentation skills may be lacking. Let us customize a session to ensure that the content matches your needs and fits your culture.